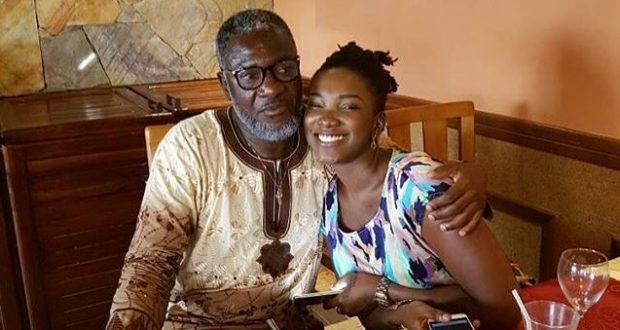 The father of late Ghanaian dancehall artiste, Ebony Reigns, Nana Opoku Kwarteng, has stated that he is yet to receive songs made by her daughter which are yet to be released. Speaking in an interview with Melvina Frimpong Manso on Suncity Radio’s Showbiz 971 in Sunyani—which was monitored by the News Hunter Magazine, Nana Opoku Kwarteng emphasised that he will love to have the works that his late daughter left behind. “I will accept the songs when he sends them to me. Both sung and unsung ones...I will love to have them,” Nana Opoku Kwarteng stressed. In a press statement last week, the Chief Executive Officer (CEO) of Rufftown Records, Ricky Nana Agyemang, popularly known as Bullet, stated that he is not interested in releasing any songs from Ebony Reigns.